Tribe was designed by Endorphina as a tribute to the locals of Polynesia and to their way of life. Tribe, from Endorphina, started out as a game that was titled Maori, but after some controversy over their name choice, they switched gears and released it under this name instead. They kept much of the same graphics and the theme though, so you have on the reels the same high-quality graphics, showing us images of the locals. Beautifully crafted, their images show them with tattoos that are typical for their culture, so it’s not a fashion statement thing. The lower paying icons have simple representations of various creatures of the sea, such as manta rays, seals, dolphins, whales or octopuses. I loved the graphics in this release, but I probably say that about most Endorphina slot machines that I see. It’s not going to sport as many lines as other games, with just 9 being active at most on 5 reels. It’s an impressive release in terms of payouts that you get access to, with a $270,000 jackpot being among the possibilities, just like you also get unlimited free games, scatters, multipliers and wilds. The betting system is not very intuitive to use, since you don’t get buttons to let you know that they can be modified. Just click on the displays though, and the number will be changed. You can change lines (1 to 9), coins (1 to 10 per line) and the coin’s value ($0.01 to $1). The wager can be set to just $0.01 if you want to, but it can also reach $90. The only symbol that has several people from Polynesia together, in a boat, will serve as a wild that is capable of applying a multiplier, which means that it doubles wins in which it is used as a substitute. It pays directly as well, and its reward goes up to $90,000 in the base game, or $270,000 during free games. Speaking of free games, they’re activated through a Sun Idol scatter, when appearing a minimum of three times. In addition to a reward of 500x total bet, these symbols will give you free spins which continue for as long as you don’t have a Blue Sun present. Other types of Sun icons show up and add or destroy these Blue Suns to your meter. Free spins can continue for a very long time, depending entirely on your luck. 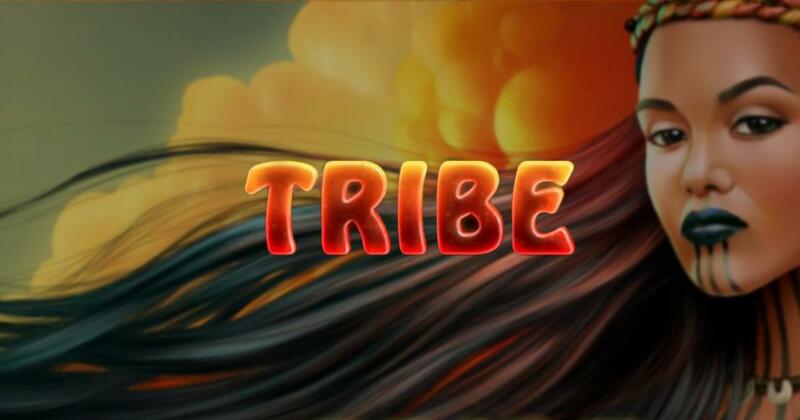 Tribe is capable of delivering huge payouts, has beautiful graphics and features that you’re going to enjoy triggering.